On this world health and safety at work day, I am extremely happy that the Latvia presidency of the EU decided to have a conference with as theme “From strategic framework towards effective implementation – OSH can be simple and entertaining”. Happy, because to me it means we don’t need to have endless discussions about WHAT we are going to do, no Refit talks, new carcinogens directive to be or not, no ergonomics legislation talks… No the focus is on HOW we are going to improve OSH at workplaces. And what is more, on how to do that in a simple and if possible entertaining way. So I will be positive and focus on what works or can work. Because if there is one thing that I’ve learned in the current EU “manage stress” campaign it is that if you have to focus on negative things, things you don’t like, things you are not convinced of, things you are not good at: it will consume energy, it will not give you energy. If you can work in a positive way, doing things that work, that help, the things you are good at, you will get energy from that. That means for both employers and workers, we have to integrate OSH in the way they do business, in the way they work, as close as possible to their every day reality. And if you talk to them, the employers and their workers, and certainly the SME, make sure you talk their language. The OSH community as a whole simply has a too limited impact. In a majority of situations, the OSH people are kept away from decision-making, they are not in the boardrooms, and they do not take part in strategic economic discussions and planning. The modern HR function in companies was created in the 1970’s. It took HR managers roughly 20 years to make it to the board. The OSH function is much older and is still not there. Whatever you put in a occupational safety and health strategy, its people that have to bring it to life. But what if the players have limited impact??? Let’s introduce an element of self-reflection. Can you say that you, as an OSH expert, advocate or policy maker, that you had significant impact on the health, safety and wellbeing of your co-workers in your own organization? Weather that now is a ministry, an institute, a company, a trade union, an employer organization or any other organization? Seriously, can you? Where and why do we book success? In those companies and organisations where management, colleagues, co-workers, internal and external experts have found each other in an overarching subject that is the work itself, what the company does, what the workers do in that perspective. So the motor, the driver is work and not health and safety! Why do we always overlook the O in OSH. Occupational, yes it’s about work in the first place. And I stress the last 2. You come a long way by focussing on and creating an environment of trust and respect. By definition it will be a participative approach where you discuss problems, solutions, challenges and ideas together. Next up is a warning message from my side. Do not set overambitious targets. Do not aim for the so-called safety culture. You will most likely never achieve it. You can spend a lifetime chasing this culture of prevention. You will spend a lot of energy in defining it for your company… and you will never get there. Way too much theory and too little practice. I participated in the discussion in 2003 that leads to this definition. Now, I think we were wrong. It’s not with rights and duties that you will advance significantly. Bit we were close. We almost had the words: it’s right and do. DO THE RIGHT THING. So do the right thing by breaking in every small step in the right direction! Today we put a series of companies and organizations in the picture. It’s always a pleasure to speak when there is an awards ceremony in the event. Because it means that we have found once again evidence that businesses and organizations, employers and workers, brought to practice, implemented the campaign theme. It’s not like life on Mars. No, good practice examples are found everywhere. We have found proof that you can manage psychosocial risks, manage stress. That makes me proud and on behalf of BusinessEurope and it’s member federations I congratulate all the award winners and the organizations that pushed them to do so, with a special mention of the Agency, it’s staff and the people from the Focal Points. Back to the EU OSH strategy: I’ve been around in this field since 1998. Basically, since then little has changed. Sure there are some new words that have appeared and disappeared (mainstreaming, culture of prevention, psychosocial). A few weeks ago, I was going through the papers of my predecessor, including the ones on the 1989 framework directive and the policy discussion during and afterwards. We are still having more or less the same discussion today, it is just wrapped in slightly different wordings. Mark my words, put them in a time capsule: “We will still have the same discussion 10 years from now”. That is the reason why I was happy that this conference, at least partially focuses on the how to do it, in an entertaining way. OSH can be simple and entertaining but why do than put so much effort in turning it into something complicated and boring? I will probably continue to put effort in that last part, because it’s part of my job. But more and more I am convinced this is not the way. We have to address the world of work in all its aspects together, including H&S, not separately. This conference room should be filled for at least 50% with people that design and implement employment and economic policies, micro and macro, deal with innovation and technology, skills development and career paths, job design, job crafting, etc. As employers, workers and government representatives we meet regularly, have discussions and draft opinions. But what we are lacking is a compelling common goal. In 1961, President Kennedy pronounced his famous “man on the moon” goal. It was a great goal because it unified. People set aside their own agendas and ideologies. We still have to find that real common overall EU goal. Therefore it is my hope and aspiration that one day a work centered overarching policy goes lunar. I hope we will use a tone that invites to collaboration, that we foster real debate, reach out to those who disagree and stay hands-on in major initiatives. And, when the process stalls, that we make hard choices for safer workplaces and better businesses. You ask me about the challenges for OSH in 2050. Work will still have a central place in peoples’ lives but it cannot be seen as something separated. Work is and will continue to be an integrated part of life and we have to draw income and satisfaction from it. As individuals we are responsible for making choices about life in general and about work and our careers. Employers need to focus on crafting jobs around peoples’ skills and allow them to develop new skills even outside the scope of their actual job. The worker-employer relationship will further fade. We will work in a connected community combining different jobs/tasks for different employers or co-workers. More and more people will be worker, self-employed and employer at the same time with maximum flexibility to suit their own needs. This is an interesting lever for boosting health and safety since people will feel more ownership over their own health and safety and over that of their (co-)workers. 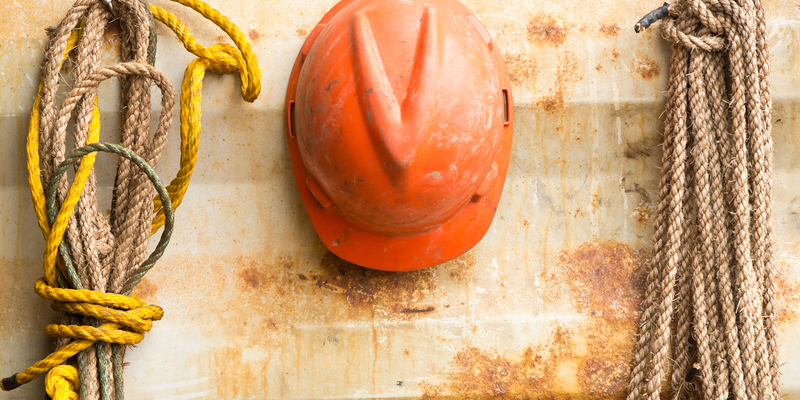 The health and safety legislative framework will need to be redefined because the starting point today is the employer-worker relationship. The strategy has to change. It should be work centered and carried and implemented by businesses and organizations as a whole, not by the OSH-function. The main challenge is therefore to start preparing the policies and the mindset in the field for this inevitable evolution in the world of work. You cannot stop the waves, but you can learn how to ride them!